Obviously: massive spoiler warnings ahead. 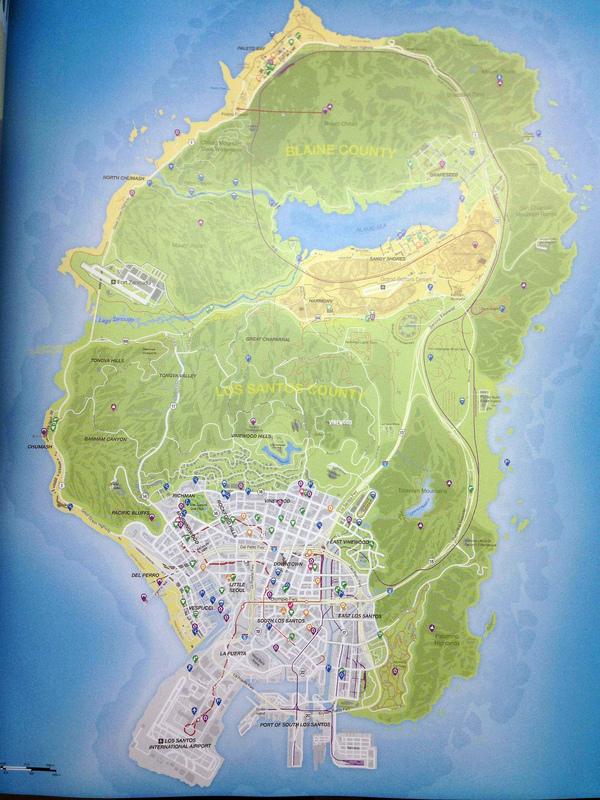 Fans that pieced together a map of Grand Theft Auto V's Los Santos region from trailers and screenshots have proven to be surprisingly accurate, as a Neogaf user has shown us with a leaked copy of the official map. Rockstar previously boasted that the landmass in GTA V would be bigger than Red Dead Redemption, GTA: San Andreas, and Grand Theft Auto IV combined, and it's certainly looking like it may live up to that promise.